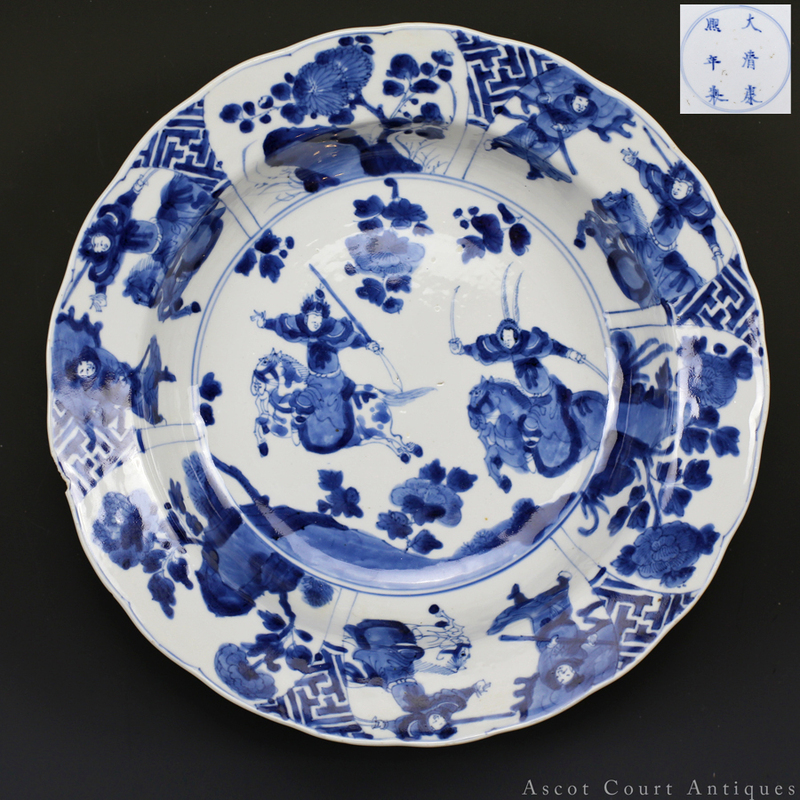 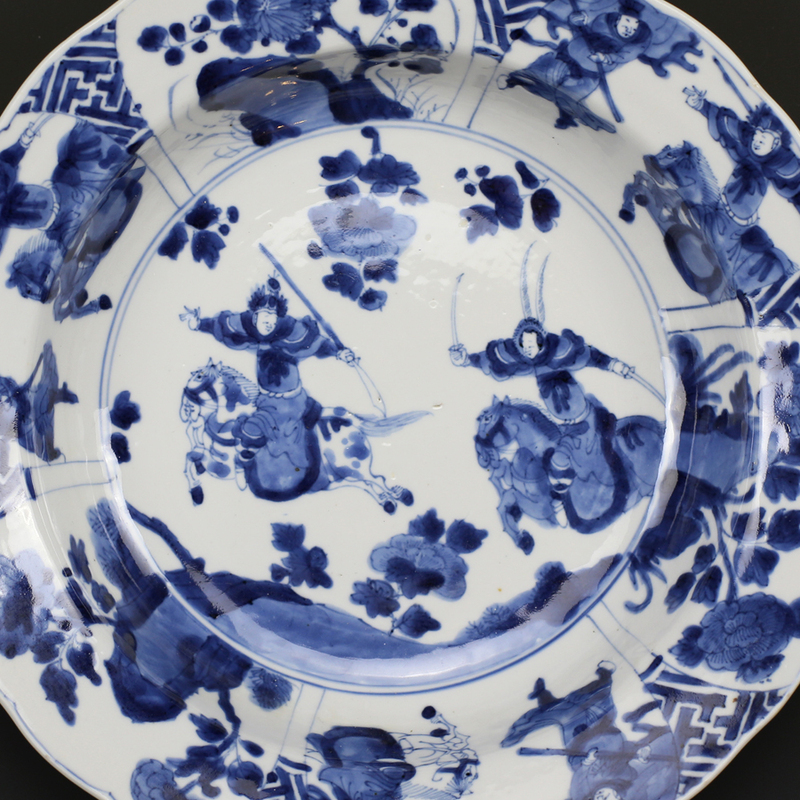 A charming Kangxi mark and period soup dish in the late Ming “klapmuts” design, painted with warriors on horseback and flora against rockwork. 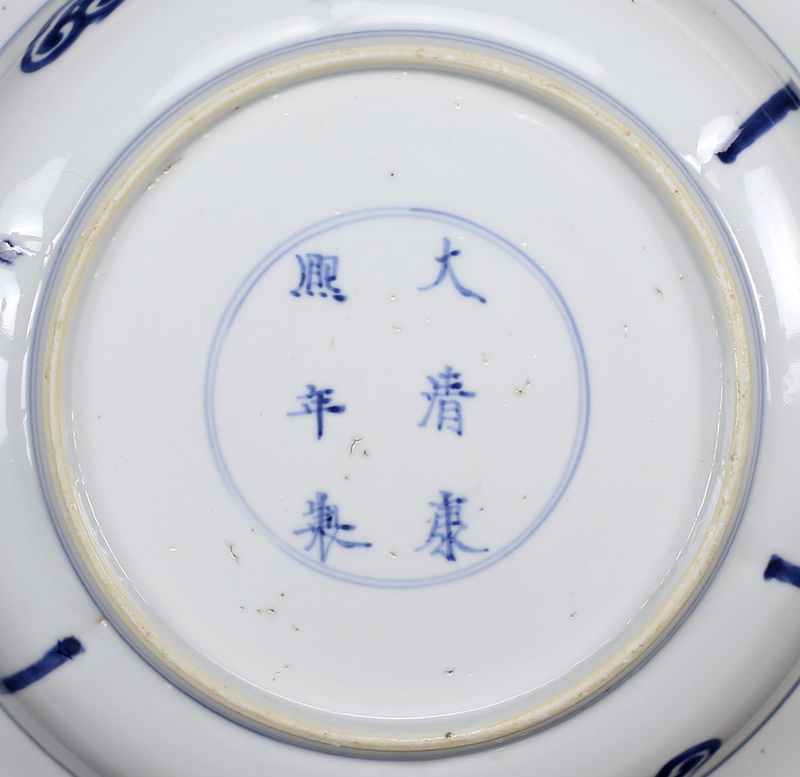 As much of the early Kangxi reign saw political and military unrest, the written Kangxi reign mark was not in use until the early 18th century. 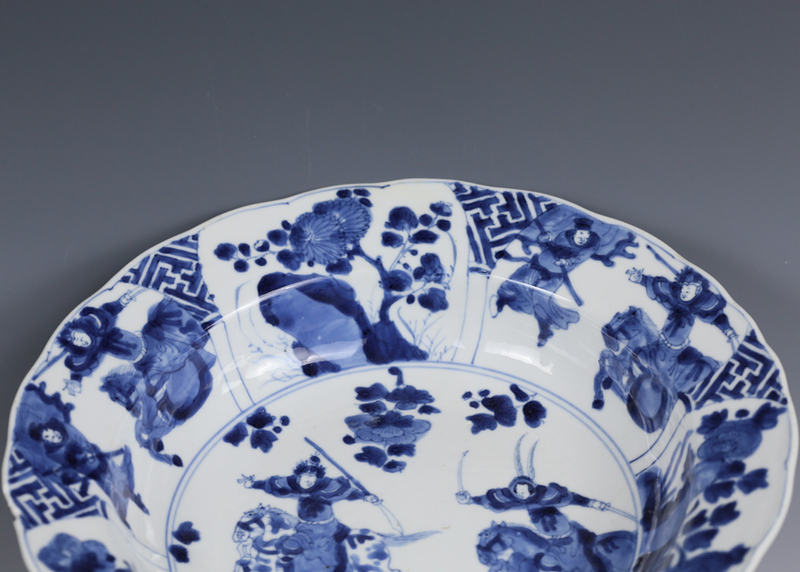 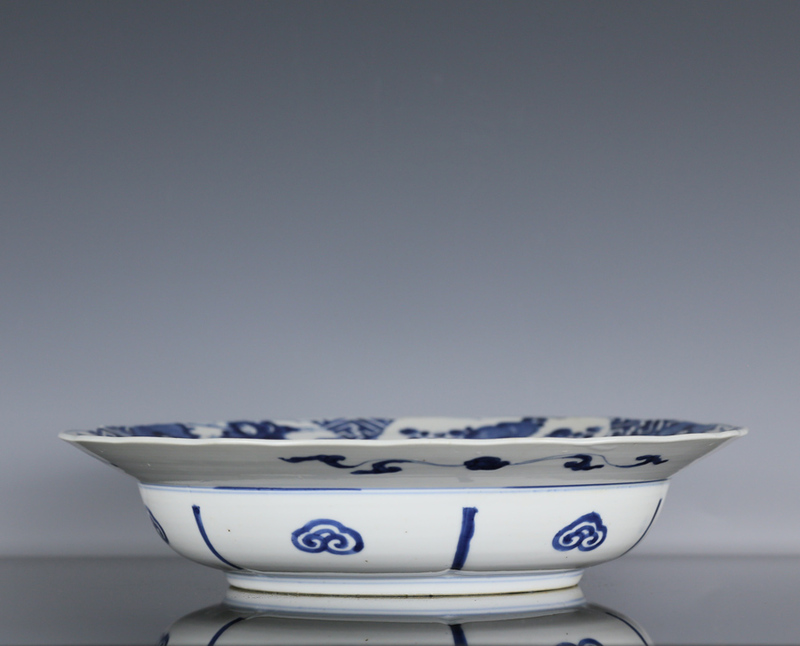 It is especially rare to see Kangxi mark and period non-imperial porcelains. 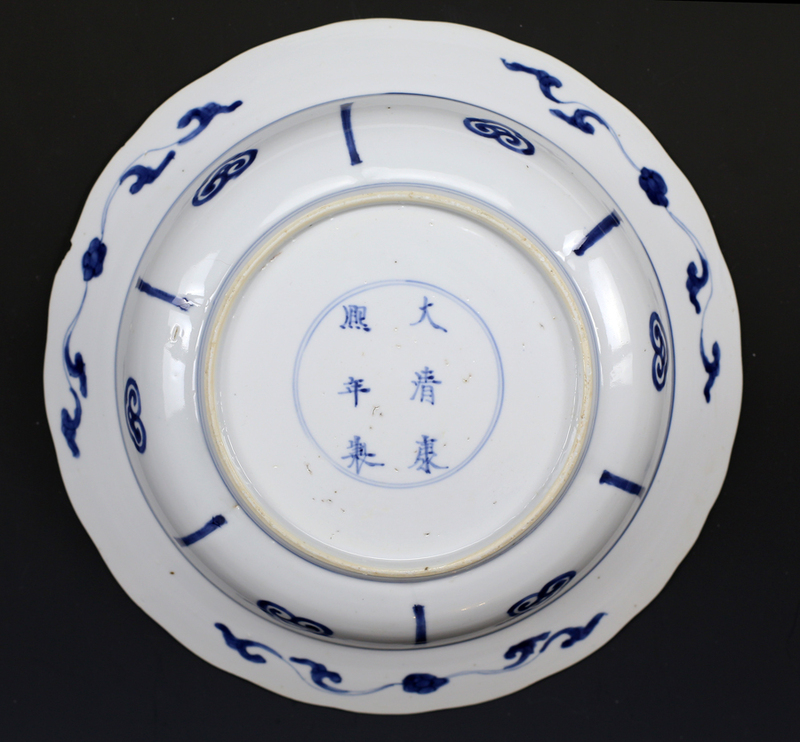 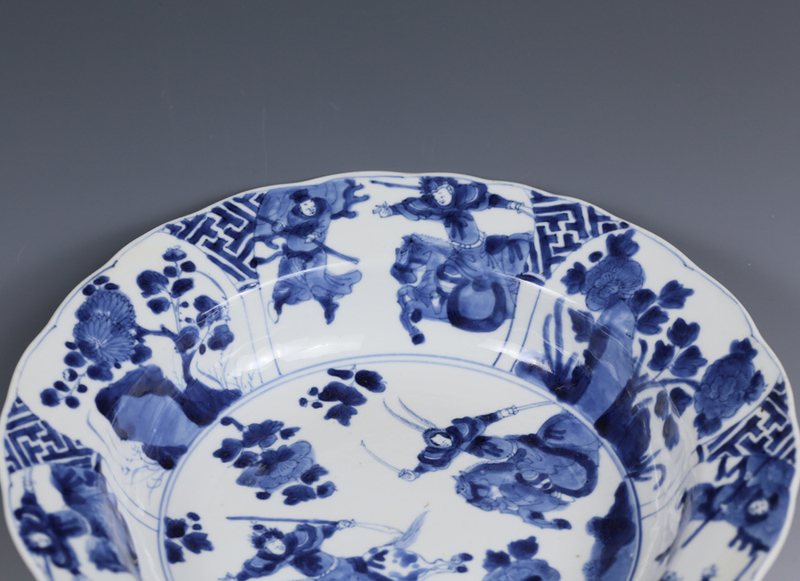 This dish features a six-character kaishu Kangxi mark within double circles, written in a calligraphic style typical of the last years of the reign.